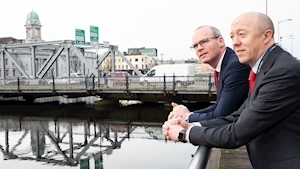 Cork Lord Mayor, Cllr Mick Finn said the region’s IT industry was “playing a central role in the economic engine of the city and county”, and that the city was “an attractive proposition for employers like Version 1 seeking a highly skilled IT workforce”. Chief executive of Version 1, Tom O’Connor said Cork’s talent pool was a major factor in its decision to expand. Business Minister, Heather Humphreys said the expansion by Joulica was “a clear vote of confidence in Galway and the West as a top-class business location”. Chief executive Tony McCormack said there was a “depth of talent available to innovative technology start-ups” in Galway. Next Post:Why does Cork lose so many young hurlers and footballers? And what are they doing about it?